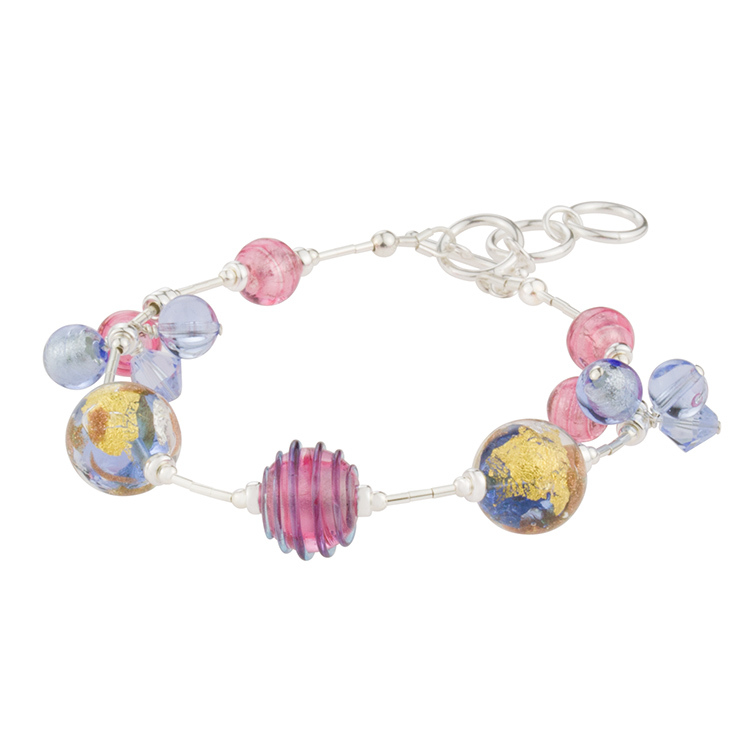 This Murano Bracelet features handmade Venetian Beads in Pink and Blue Luna Murano Glass Beads with Swarovski Crystals and .925 Sterling Silver and 24kt Gold Foil decorations. Clusters of Swarovski Crystal and small Murano Glass Beads complete this melody.The bracelet is 6 1/2 Inches with 1 Inch Extender. If you need another size, please contact us. We assemble these here in our studio.